Ginormous, extra wide legged palazzo pants are trying to have a moment and the majority of women are ignoring it. Maybe because they only look good on tall, super slender models???? 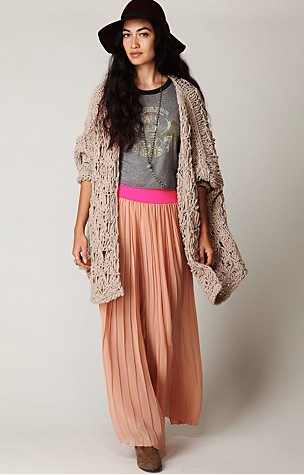 If you happen to be lucky enough to look good in these, buy at Free People for $108. I can't decide if the fact they're semi-sheer is a bonus because it shows your legs really aren't that huge or makes them even less flattering.